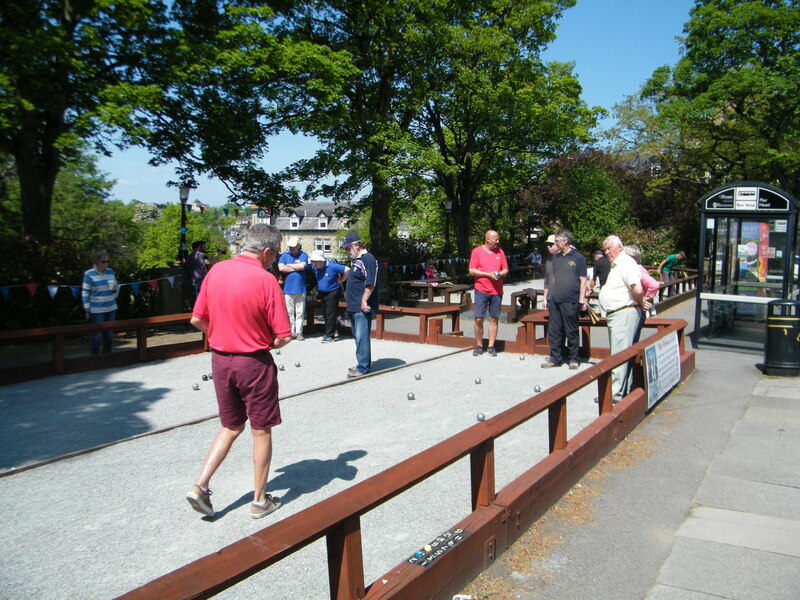 Harrogate Montpellier Pétanque Club – A sociable sport for all ages and abilities! Those wishing to enter for the Qualifier are asked to form a Triple with fellow members and submit their team by contacting Charles. The format for the event will depend on the number of entries – the top 2 teams in this eliminator will go on to represent the club in the CNG Invitational Triples. All entrants are asked to ensure that their teams are available for both the Qualifier and the event proper (Saturday 11 May). Closing date for entries Fri 5 April. Could any member wishing to play in the forthcoming West Yorkshire League season fixtures please email Charles regarding availability – the fixture dates are detailed on the calendar of events. We are initially asking members to chose 1 Home and 1 Away game – hopefully enabling all those wanting to take part a minimum of 2 matches. Please do this before the end of March in order for teams to be sorted – it may be necessary to adjust selected games depending on subscription so it would be much appreciated if players could be flexible. Who says you can’t play in the snow!? Brenda, David, Keith and Alan wrapped up for the conditions on Sunday morning. With best wishes to all members and friends for 2019. Play will continue through the winter on Sunday mornings at The Pierhead from 11 am – weather permitting! That’s a ‘dry’ weather forecast, and a few degrees above ‘zero’. Hint: You can warm your boules in the oven at 60c for about 15/20 minutes before you come down. BUT be careful to check they’re not too hot to handle before you take them out! The next event will be the Club’s AGM in March and details will be circulated once the arrangements are confirmed. Bob the Bouler wins the Luchon Melee Cup! The last melee of the season, on Sunday lunchtime (30th), was won by Bob Laughton. Fine weather, but with a cold wind, brought out 21 competitors, to play over 4 rounds of triples with different team partners. Thanks to all who took part and enjoyed a shared, an extensive ‘pot luck’ buffet lunch both during the competition, and for a few, afterwards at Cafe Nero! Bob Laughton was victorious with 4 wins (28 points), with Nigel Clay and Brenda Sutcliffe joint runners up with 25 points. Thanks to Sue Howe for organising, and all those who contributed to the feast. Club Chairman, Nigel Clay, presenting the ‘Luchon’ trophy to Bob – he’s the old chap with a flat cap, club top and wearing glasses – but shorter! The last melee of the season was played on 30 Sep. The weather was fine but a cold wind. There were 21 attendees, thank you all for coming on such a cold day. We had an open picnic and the food was fantastic as always. A few of us took the remainder and ate in Cafe Nero. Bob was victorious with 4 wins. Well done Bob. Nigel C and Brenda came joint 2nd with 25 points each. Reigning champions, ‘Boulevard of Broken Dreams’ completed back to back victories by winning this year’s Saint Michael’s Cup at The Pierhead Bouledrome on Thursday evening (13/9). Coming from behind, Jim Mosssman’s team, with Charles Stewart and Jeremy Fenn, overtook ‘Under the Coche’ in a tight finish to run out winners by 13 points to 10. The crowd’s favourites and constant supporters of the competition since it started in 2012, ‘Mange Tout Rodney’ won the Plate competition. In doing so, Jon Park, plus Tim and John Swales, representing Appleyard and Trew, completed the set of the three different trophies in successive years (Cup, Spoon and now the Plate). Despite have French connections, Dorian Ennequin’s team were unable to outscore the more experienced trio. The honour of winning the wooden ‘Spoon’ went to newcomers, The ‘Jokehars’, from Burn Bridge Table Tennis Club. This was a ‘family affair’, with the father and sons team of Rajiv, Rohan and Anish Johar. They overcame the Saint Michaels Hospiceteam, ‘Boulez Vous’, who had finally made it to a final at the 7th attempt, but were still unable to get their hands on one of the trophies! All the trophies were presented by Neal Armstrong, Director of The Ellis Bates Group, the Club and competition sponsors. The last melee of the season will take place on Sunday 30th September starting at 11.30 am. We propose an open picnic (please supply your own drinks) and we are playing for the melee cup. This is only open to club members. Weather permitting of course. Hope to see you all there! The inaugural West Yorkshire Cup Final was held on 10 August. After a 3-2 win against Huddersfield, Harrogate came up against Leeds Petanque Club in the final, held at Heckmondwike. After a close match, Leeds came out on top with a 3-2 win. Congratulations to Leeds Petanque Club, winners of the 2018 HIT.